The monster.ui.codecSelector() method generates a selector for audio/video codecs. A jQuery object representing the codec selector. This object exposes a getSelectedItems method to retrieve the list of selected items. This helper generates two columns, a list on the left of available codecs to choose from, and a list of selected codecs on the right. We use this helper everywhere we need to select codecs. 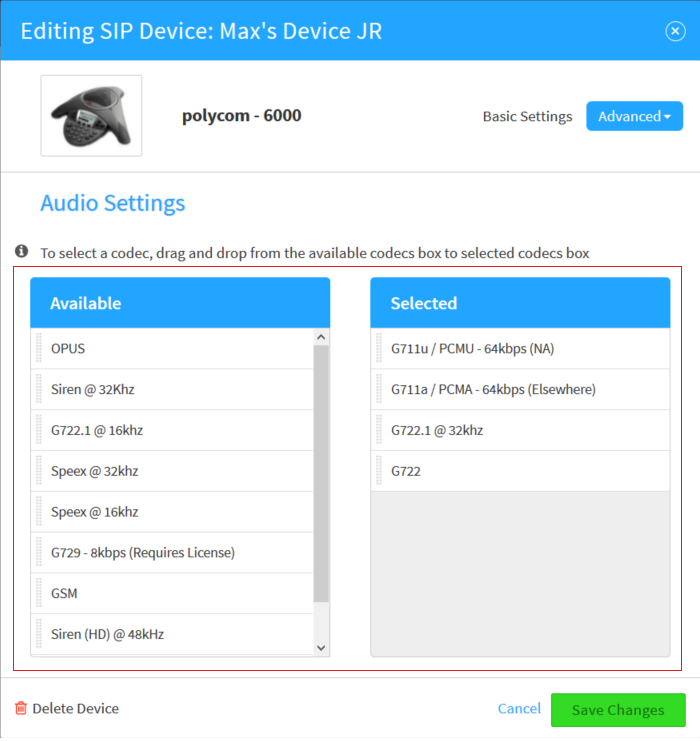 You can find it in the SmartPBX or the PBX Connector for examples! The method only generates the part inside the red rectangle in the picture above.